Beetel GD455 is a decent looking dual sim phone launched by Beetel Mobiles. The affordable handset comes in sleek and light-weight candy bar shape which fits comfortably in your palm. The phone operates on Dual Band GSM Network 900/1800MHz frequency. The Phone sports 2.4-inch (240 x 320pixels) Screen Display, Dual Sim-Dual Standby, and Digital Camera. Its External Memory can be expanded upto 8 GB through a Memory Card. The Phone is preinstalled with loads of modern day Multimedia and Connectivity Applications. The device also boasts Music Player, FM Radio with Recording Option, Video Player with Recorder, Auto Call Recorder, Games, GPRS, Bluetooth, USB, WAP Browser and much more. The phone is powered by a powerful Li-ion 1500mAh battery which offers talk time of up to 9 hours and standby time of up to 700 hours. 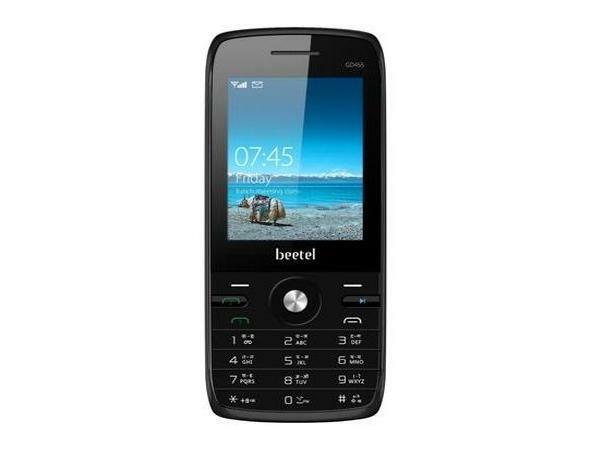 On the whole, Beetel GD455 is a value-for-money mobile phone which best suits all age groups.